Even an experienced parent can get stressed and worried over what may only be a minor baby healthcare scare. The more you know about your baby’s health, the better and more confident you will feel about caring for your baby and recognising how serious a condition or symptom may be. 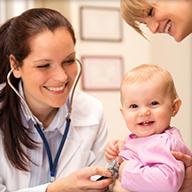 Huggies cannot replace the advice and care of healthcare professionals such as your doctor, but we can give you the basics and more on how best to care for your baby’s health and well-being, and also help answer the many questions you may have about your baby’s health and development. While you may have spent many sleepless nights during your pregnancy in great anticipation for your baby’s arrival, be prepared for many more in the beginning weeks of parenting. As you may have guessed, sleep (or lack thereof) is one of the main issues experienced by new parents. 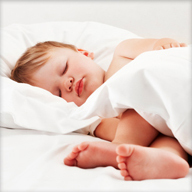 Getting your baby to sleep properly takes practice, along with lots of trial and error. Your baby will achieve some miraculous developmental milestones during the first few years of their life. But how do you know what milestones should happen, and at what age? Did you know that at 2 months your baby should be able to smile? And at 6 months they should be able to grasp objects in their little hands? Baby bathing can be one of the most enjoyable and relaxing times of the day that you can spend with your baby. When your baby is first born it is easier to use a special baby bath or simply the laundry sink. You can even take baby into the shower or bath with you. Older babies and toddlers love water play and bath time is a great way to have special playtime at the end of the day. The worst thing about colds and the flu is how quickly they spread through the family. Most people don’t realise that your hands are one of the main carriers of cold and flu viruses, especially in the first 2-4 days when your little one is coughing, sneezing and dealing with a runny nose.